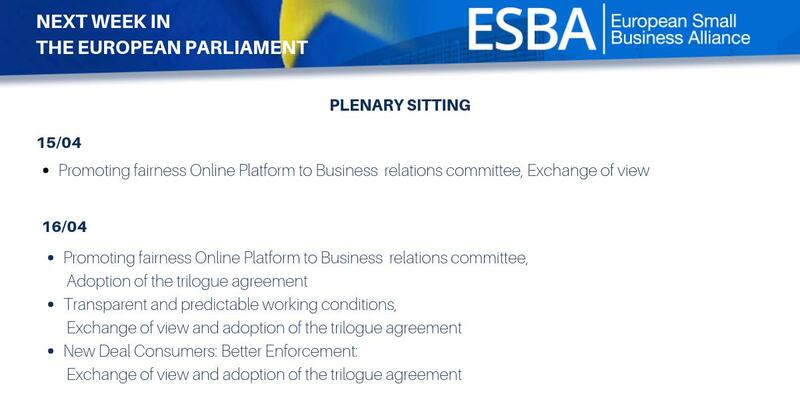 Please read these terms and conditions carefully before using the ESBA Subscriber Service through www.esba-europe.org, operated by the European Small Business Alliance, hereafter referred to as ESBA. Your access to and use of our services is conditioned on your acceptance of and compliance with these terms. These terms apply to all subscribers, users and others who access or use our services. By accessing or using the services, you agree to be bound by these terms. If you disagree with any part pf the terms, then you may not access the services. These terms and conditions apply to all offers and agreements, as well as the contractual agreements following a subscribership request and its acceptance by ESBA. They apply to any actions, advices, communications and assistance by ESBA to the subscriber, regardless of the subscriber’s place of residence or the place where the agreement was signed or brought into effect. The subscriber accepts ESBA’s right to transfer any agreement to a third party, in case of sale or subcontracting of the service. All prices and offers of ESBA are non-committal, except where an expiration date has been set. This applies to the delivery of goods as well as services, through the ESBA website. The ESBA website serves as a public offer for entering an agreement. Anyone who enters ESBA subscribership and makes use of the information that is or will be available through the ESBA website, enters into contractual relationship with ESBA and agrees to our terms and conditions. The (electronic) administration of ESBA will serve, except in cases of valid counter evidence, as proof of the entered agreement or agreements with the subscriber. ESBA does not take responsibility for the applicability of its services and publications and the use of the contents of its services and publications by the subscriber to any situation or scenario. ESBA will always endeavor to deliver its publications and services with great care and in a timely manner. However, ESBA will not be held liable for any delay in delivery of publications and/or services. Neither will the subscriber or any third parties have a right to compensation in such cases. ESBA will endeavor to deliver its services with the greatest care. The provision of services is expressly directed to the individual subscriber, never to third parties. ESBA is not responsible or liable for the desired and/or achieved results of the subscriber. The subscriber is bound to delivering all required information to ESBA, as well as all other facts and circumstances that can be of relevance to a proper execution of ESBA’s services. This will include a VAT number if registered for VAT and a postal address. ESBA is not responsible for the validity of the data provided by the subscriber and does not accept any responsibility or liability. ESBA however, may decide to terminate any agreement, based on the provision of false information, even if this was done with the best of intentions. Such termination will not lead to any liability on ESBA’s part, nor to a right to compensation. The subscriber acknowledges that the activities of ESBA are purely advisory. Given the subjective nature of any assessment of the provided information or advice, ESBA will not accept any responsibility or liability related to its services. ESBA does not accept responsibility for any incomplete or incorrect information that is not part of a specific request for information. While ESBA will do its best to supply up to date and correct information it cannot guarantee the accuracy of information supplied. ESBA’s EU signposting of information,, offered to subscribers via the ESBA website, must explicitly be regarded as a signposting service. Information given by ESBA is not to be regarded as legal advice and ESBA does not accept responsibility for the use of the information provided, nor the final outcome. ESBA cannot be held liable for any networking or business relationships, originated from the ESBA website or any other ESBA services, relating to the ESBA Subscriber Service. ESBA only takes the role of facilitator but does not enter into any business relationship, other than the one between ESBA and the subscriber for the provision of communication and advice services. By signing up to the ESBA Subscriber Service, you agree to receiving all ESBA publications, including the occasional survey. You will have the option to unsubscribe from each of these individually at any time, and without justification. ESBA will have ownership of all its communication materials, logos, names and brand and can prohibit subscribers at any time from using them. Subscribers may use an ESBA logo on their website, which is especially designed for ESBA subscribers. Under no circumstances may subscribers use the original ESBA logo, which is available for use to ESBA and its full membership organizations only. Subscribers may never claim to be operating on behalf of ESBA. The subscriber will have the opportunity to place their logo on a specific part of the ESBA website, along with their company information. The logo and the information remain under ownership of the subscriber. ESBA only provides a space for profiling. It can, under no circumstances be held liable for any abuse by third parties. Subscribers are not allowed to remove ESBA branding and logos from any of the ESBA materials, nor are they allowed to distribute any materials that are provided to them to third parties. ESBA publications are for internal use of the subscriber only and cannot be published in whole or part without the express permission of ESBA. The ESBA subscriber logo can only be used on a subscribers website and cannot be used, without permission, to imply ESBA support for an enterprise or to imply joint branding for an event or publication. ESBA will handle any information and data it holds of subscribers with the greatest care. ESBA will not share/sell any information with/to third parties, unless expressly agreed with the subscriber or in case of anonymized survey results, whereby the surveyed subscriber will have given his consent implicitly for the survey results to be used. Under no circumstances may subscribers use the original ESBA logo, which is available for use to ESBA and its full membership organizations only. Subscribers may never claim to be operating on behalf of ESBA. They have no right to attend or vote at any ESBA Board meetings or annual general meetings. ESBA reserves the right to terminate or suspend access to our services immediately and without prior notice or liability, for any reason whatsoever, without limitation if you breach the terms. 11. Variation of these terms and conditions. ESBA reserves the right to vary these terms and conditions upon notice to all subscribers and will be placed on the ESBA website.